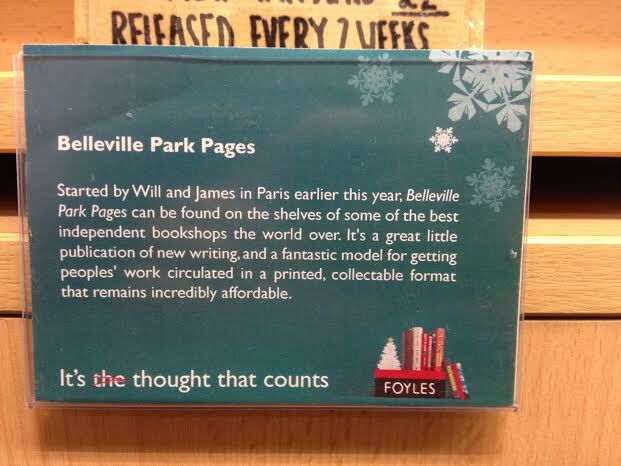 The lovely people at Foyles have put this sign on the shelf next to the Pages. It’s a nice little synopsis that’s very visible on the ground floor of the store. The Pages have been selected as a Christmas gift/reading idea, which we’re very merry about. We just got named as one of Foyles’ Magazines of the Week. It’s really good because we just got named as one of Foyles‘ magazines of the week and that’s a really good thing to have happened and we’re really happy that you’ve all not only helped us get there, but gotten there yourselves. Really good. Look at us all up in the front page’s grill and ting. Poetry getting cool again. Yes. A rainy and chilly Mommy and Daddy wanted to go and see the Pages on sale at Foyles in London. 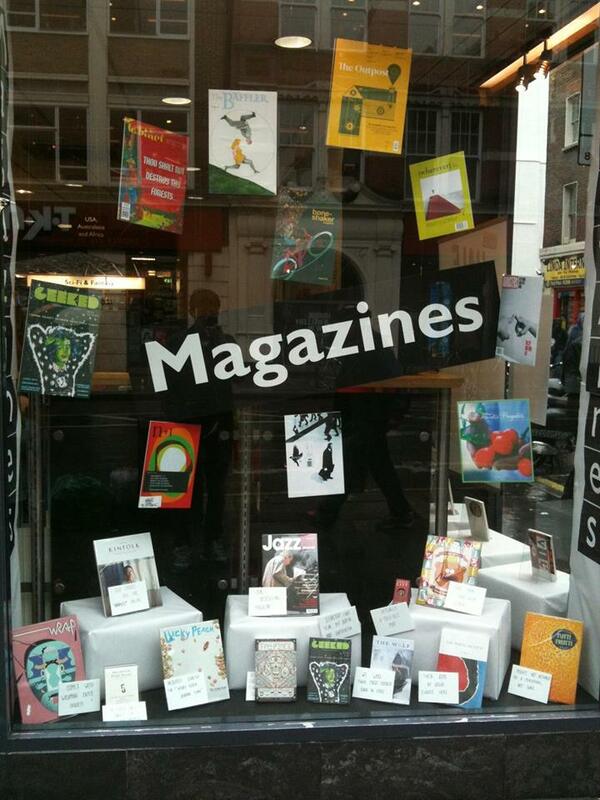 This is their illustrious ‘Magazines Window’ on the Charing Cross Road. 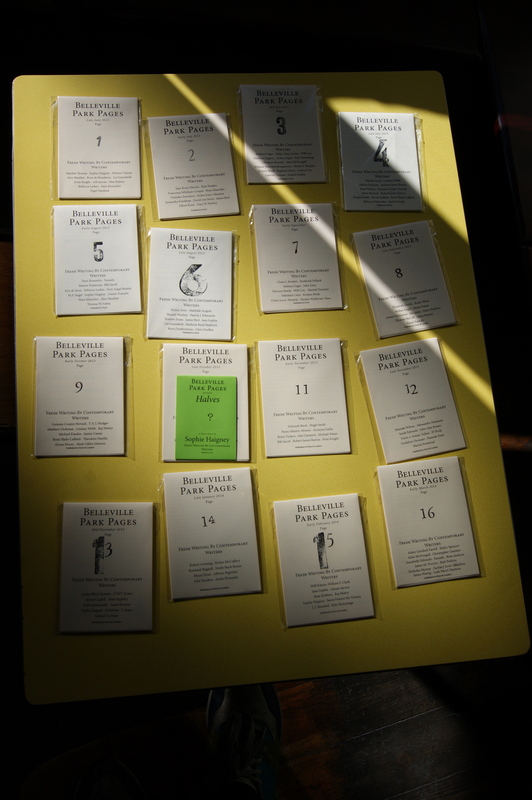 And, nestled in the left hand corner is something called the Belleville Park Pages. Big up to all you writers and readers for getting it there. Seriously. If you fancy a copy but can’t get to Foyles, or our other stockists – you can grab one or subscribe here. We are happy to announce that Issue 3 will be stocked at Foyles! 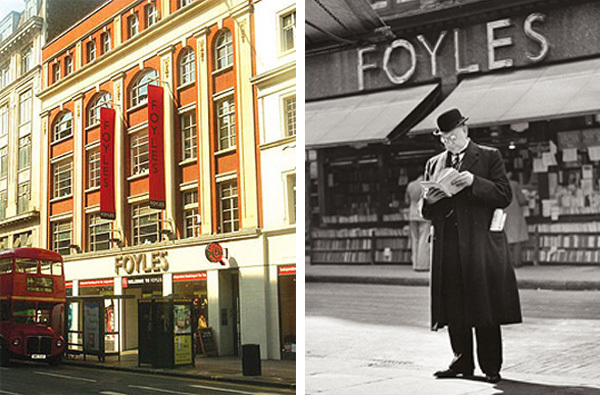 We’ve received confirmation that the iconic Foyles bookshop in London is going to stock Issue 3 of the Pages. The Pages are really starting to spread themselves worldwide. You can grab Issues 1 and 2 online here https://bellevilleparkpages.wordpress.com/buy-the-page/page-2/. Aussi, il y a une concert gratuit a Republique (PARIS) avec Babyshambles & Jake Bugg – oooh. Busy sunny Monday for all. 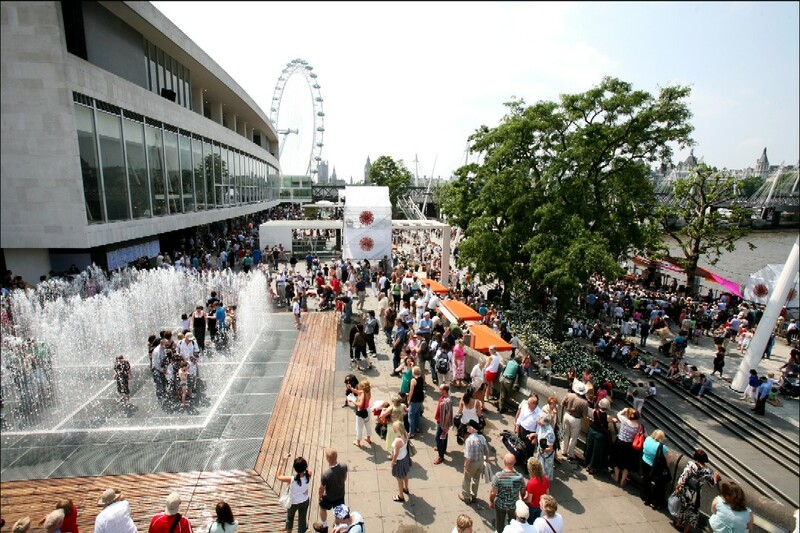 As Nina Mazodier writes in Issue 2 of the Pages – “Summer in town breaks it down”.